Home to Grant and Will Fowlds, the Olli Team, were privileged to spend some time at Amakhala and meet members of their anti poaching unit - a passionate and committed group of men. Our amazing welcome to Kariega - one of the OLLI Frontier Rhino Ride 2017 sponsors and a valued partner. Great Fish River Nature Reserve is a nature reserve in Eastern Cape Province, South Africa that is managed by Eastern Cape Parks. The park has a total area of 45,000 ha, and has been operational since 1994. VLOG 2 | "WHERE'S OLLI?" Dr Will Fowlds talks to Wayne Bolton about the important role ordinary South Africans must play in rhino conservation. 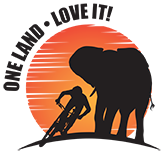 WHY THE OLLI FRONTIER RHINO RIDE 2017?